If you’re a coffee drinker, then you may well love today’s guest post, looking at the different types of coffee machines and how they fit into our homes. Enjoy! 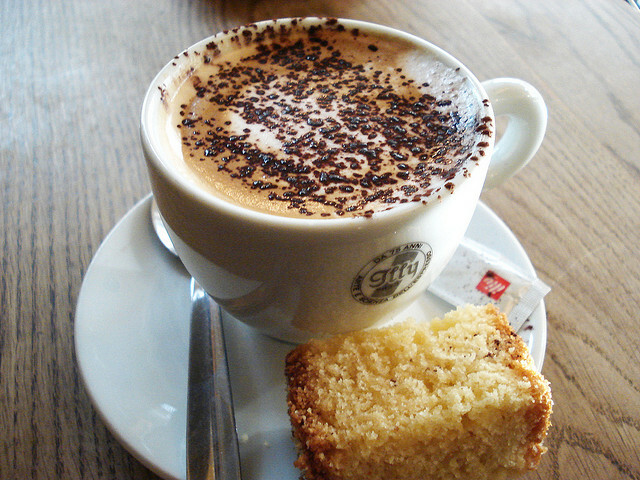 Tea might be the quintessentially British drink, but coffee is rapidly overtaking as the nation’s favourite beverage. According to a recent report in fact, kettle sales have fallen to the point where only around 80 per cent of homes actually own one. Taking their place are hot water dispensers and coffee machines, sales of which have reportedly increased from £52 million in 2008, to £69 million in 2012. More than one in five households now owns a coffee machine of some kind and this has changed the role they play. Bean-to-cup coffee machines are at the higher end of the market and as the name implies, take fresh coffee beans, grind them on demand and deliver the espresso direct to your cup. Some models also have ‘frothers’, allowing you to make cappuccinos or lattes. Pump espresso machines use ground coffee and filters. Water is heated in a separate tank and then forced through the coffee at the correct pressure and temperature, creating an espresso. Like bean-to-cup coffee machines, many pump machines also have a milk frother for making cappuccinos and lattes. Pod coffee machines use a pod of ready-ground coffee beans. It’s a quick, clean and convenient system, with the machine simply forcing hot water through the pod to make one cup of great tasting coffee at a time. Finally, filter coffee machines heat and gradually drip the hot water through basket of ready ground coffee. The water absorbs the flavours and qualities as it passes through the filter and the coffee collects underneath, typically in a coffee jug that is ideal for pouring. You can start with as much water as you like – or at least as much as will fit in the reservoir. This type of coffee machine is ideal for making more than one cup at the same time. As well as making a great tasting cup of coffee, coffee machines come in a range of designs and finishes. They can make a great addition to the most stylish of designer kitchens, but can often fit in anywhere, from offices to conservatories. Find a full range of quality coffee makers from Co-operative Electrical and enjoy the perfect cup in your own home today.